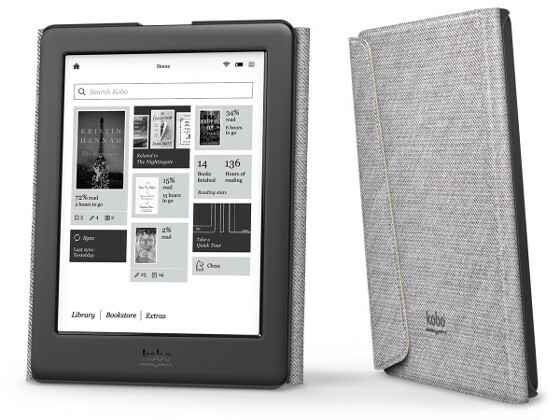 Kobo is running a deal on the Kobo Glo HD from now through Father’s Day, June 19th. The offer includes a free cream-colored sleep cover with the purchase of the Kobo Glo HD. The deal is available from Kobo.com and from Chapters.Indigo. The Kobo Glo HD sells from Kobo for $129 and from Chapters for $139 (Kobo charges in USD and Chapters charges in Canadian dollars so that’s why the price is different). The free cover that it comes with is the cream sleep cover that automatically turns the Kobo ereader on and off when opening and closing the cover. The cover normally sells for $29.99 so it’s a pretty good deal since ereaders need a good cover to help protect the E Ink screen, which is more fragile than regular LCD screens. The Kobo Glo HD has a 6-inch 300 ppi E Ink screen, a frontlight, 4GB of memory, and Wi-Fi. The main advantage with it over Kindles is the support for ePub format and the fact that Kobo’s software offers a lot more font customization options. Check out my Kobo Glo HD review for more details about the device and to see a video of it in action.